Telzio offers month-to-month plans with flexible pricing. With Telzio you pay only for the amount of usage you need, for as long as you need it, and without requiring long-term contracts or complex licensing. You only pay for the usage you set, and if it lowers, you can scale down without additional costs or termination fees. Telzio is a prepaid service. You can add credits to your Telzio account to subscribe to plans. Charges are debited from your Telzio account, so it’s important to maintain a positive balance at all times to keep your service active. Here are steps to help you make your first deposit. Enter the amount you want to deposit under Add Credits. 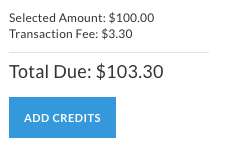 Review your Total Due and click Add Credits. 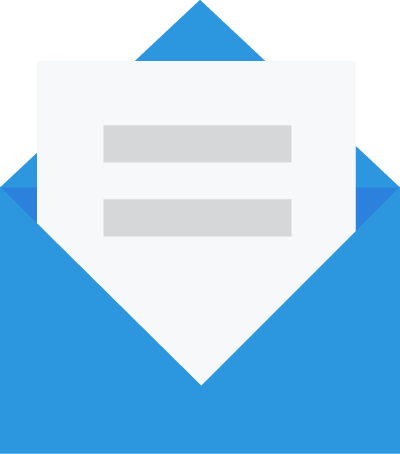 Enter your Billing Address and click Update Details. 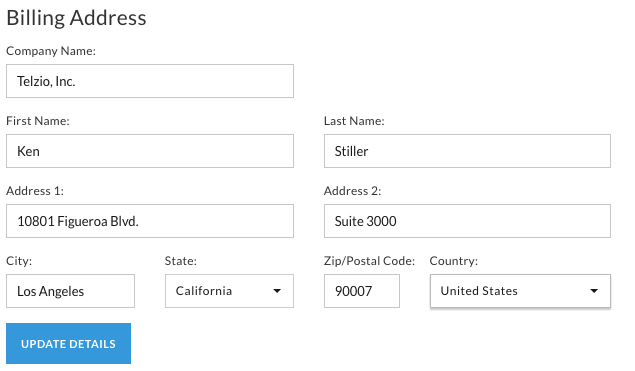 This address should match the billing information for the payment method used above. After you make your first deposit, your receipt will be emailed to you and also appear under Statements & Receipts. It’s important to note that Telzio will not automate your billing unless you enable Auto Recharge. Auto recharge makes an automatic deposit to your account using your pre-set payment source so your account balance is always in good standing. Move the Auto Recharge button from off to ON. 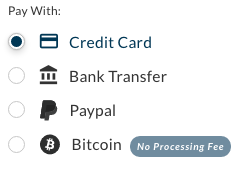 Select your desired payment source. Enter the minimum account balance to trigger auto recharge. Telzio offers credits for trial accounts and as rewards when you refer new customers. 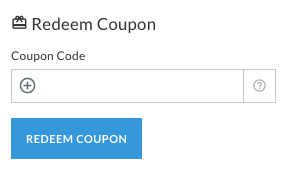 Enter your code and click Redeem Coupon to add your credits. Telzio does not provide refunds on phone numbers, subscriptions, or usage. If you cancel your phone number after you purchase it from Telzio, we cannot issue a refund on the purchase, nor can we guarantee that you will be able to retrieve the same phone number. If you port an existing phone number to Telzio and decide to cancel your Telzio account, we cannot issue you a refund on any porting fees. In order to port your number away from Telzio, you will have to submit a porting request through your new provider. If you cancel your account with Telzio, any unused credits in your balance will be refunded back to the same payment source you used to deposit the funds, less a processing fee.